The Trellis decorative bracket has been carefully selected to complement established bracket ranges and to add a contemporary design with ease of fixing whilst retaining strength and shelf support. The brackets come in 2 sizes and are available in black and white. 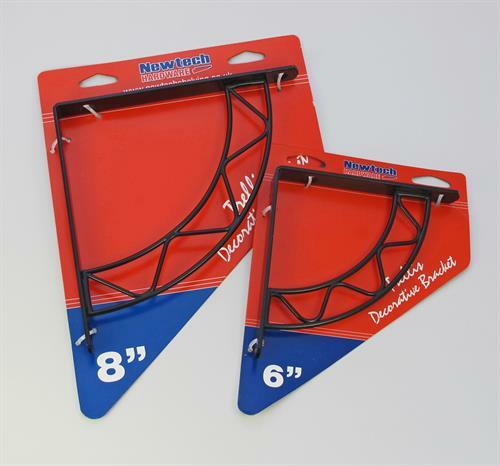 Be the first to submit a review for the Newtech Decorative Trellis Bracket.